Listing his government's achievements, he said the NDA government has constructed pucca homes for eight lakh families, provided power connections to 24 lakh homes, gas connection to 40 lakh mothers and sisters. Bhawanipatna: Prime Minister Narendra Modi on Tuesday slammed the Naveen Patnaik-led Odisha government for "not cooperating" with the Centre to bring about speedy development in the state and said he has taken advantage of central schemes to ensure the welfare of Odiyas. "The government in Odisha did not cooperate with us. Despite its indifference, we did our best in launching development projects in the state," Modi said, while addressing a rally in this west Odisha town. This chowkidaar (watchman) has taken advantage of Centre's schemes to ensure welfare of the Odiyas, he insisted. If the BJP had formed a government in Odisha after the 2014 election, the state would have witnessed "speedy development in all sectors", he claimed. "In the last five years, we have opened bank accounts for 1 crore 40 lakh people, built toilets in 50 lakh homes, ensuring women's safety and security," he maintained. "Under the Congress rule, middlemen benefitted largely. It is because of this deception, people had to go to migrate to other states, leaving their families," he charged. 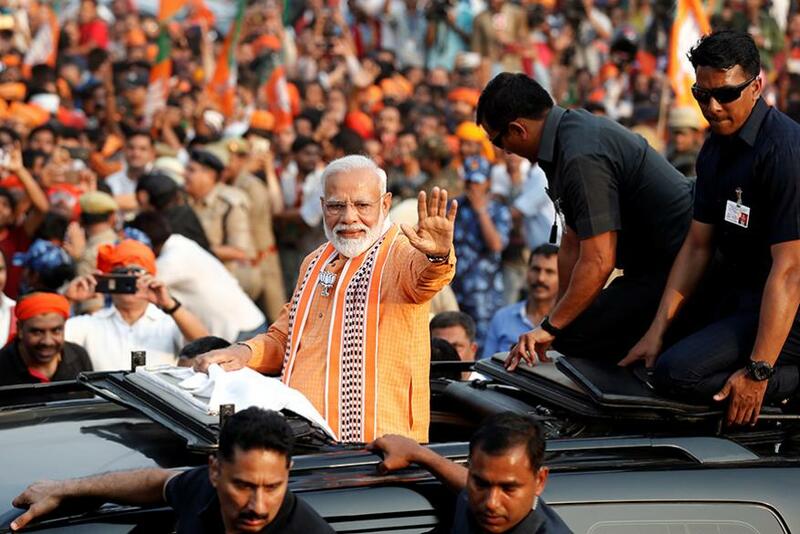 Without taking a single leave in last five years, this "chowkidar has worked diligently" to bring about a transformation in the country, Modi said. "The credit for the transformation goes to the people of the country, who voted the BJP to power. It is your vote and not Modi who brought positive changes in the country, lit up lives of poor, filled their lives with hopes," he added.